If you’re looking for high quality Idaho Falls insulation services that will save you money all year round, you will get them when you choose Eco Insulation. Our products and services are not only green and environmentally friendly, they will also enhance your home’s long-term energy saving potential, as well as maximize the comfort level of your home. Energy Audits: Our technicians will evaluate how much your home is losing in unnecessary energy costs, and determine where these problems are originating. As a BPI Certified company, we have all of the training and experience necessary to complete a comprehensive, whole-home energy audit. After our energy audit is complete, we can get to work on solving your home’s specific problems, followed by a follow-up audit that will prove we’ve reached our energy-saving goal. 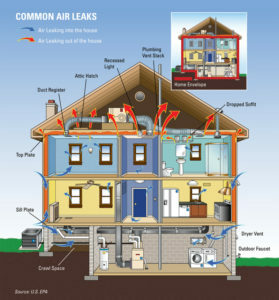 Duct Sealing: According to the EPA, most houses lose roughly 20 to 30 percent of air through their duct system every year. This is primarily due to the fact that both warm and cold air escapes through cracks, holes, leaks, and other imperfections in their duct system. Because of this, your home isn’t as warm and is could be during the winter, nor as cool as it could be during the summer. 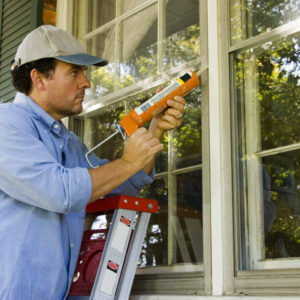 This leads to an increase in energy bills, and the overall reduction of air pressure. Our Idaho Falls insulation services will seal up any areas in your ventilation system where air can escape. Attic Ventilation: We will install baffles in your attic, which will bring your home to its maximum insulation potential. These baffles will prevent your insulation from blocking air flow, which will in turn prevent the accumulation of moisture, mold, and rot. Air Sealing: Our technicians will weather-strip and caulk your home, bringing its insulation capacity to its full potential. Fiberglass Insulation: Our Idaho Falls insulation services includes the installation of fiberglass insulation. Many people regard insulation only as a way of keeping their house warm during the winter, however, it can also keep your house cool during the summer as well. Our fiberglass insulation will also reduce greenhouse emissions, and prevent the accumulation of condensation on your walls and ceiling. When you choose Eco Insulation, you are. You can also rest assured that you will be getting a Lifetime Guarantee Against Insulation Settling. That means if you aren’t 100% satisfied with our work in either the short and long-term, we will do what it takes to correct it at no extra cost! For high quality Idaho Falls insulation services, contact Eco Insulation today!